Edit Moltke-Leth, CEO, is an Independent Business Psychologist and a Master of Psychology of Organization (MPO). She is trained as a psychotherapist, and as NLP Business Master. She is a coach, supervisor, keynote speaker, and author of 28 books. 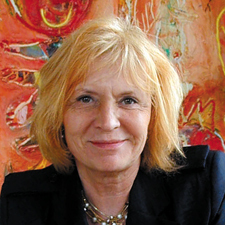 Edit Moltke-Leth has been nominated 4 times as Best Professor, and was awarded the International Prize 2012 for Best Professor in leadership and personal development. Edit Moltke-Leth is also a professional board member, and business angel.